Avene Cold Cream nourishes, moisturizes* and protects your skin from external factors. Nourishes: Rich in Cold Cream and natural oils, this smooth cream offers your skin immediate comfort. Protects: Rich in white beeswax, it shields your skin from external aggressions. Soothing: Avène Thermal Spring Water, soothing, softening, provides your skin with an instant feeling of comfort. 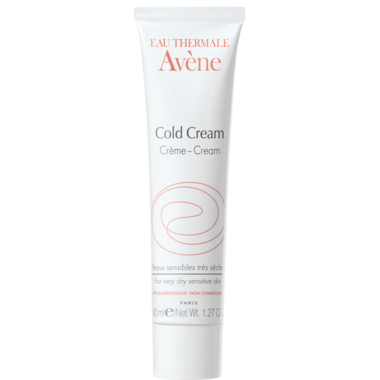 Avene Cream with Cold Cream is particularly indicated for sensitive dry to very dry skin.